Well, after nearly 8 years, I’m saying goodbye to one of my resident venues Illusions Magic Bar. 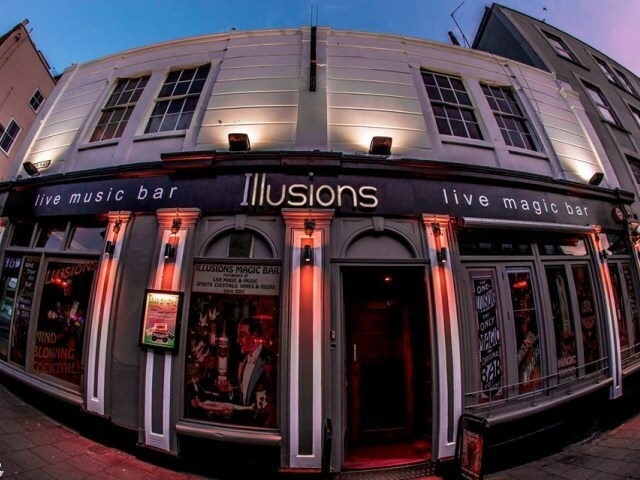 Sadly there will no longer by live music at Illusions at the weekend, but I’d like to say thank you to Mark, the staff, my fellow musicians and of course everyone that came down to watch me through the years! Can’t believe I was there nearly a decade – how time flies! 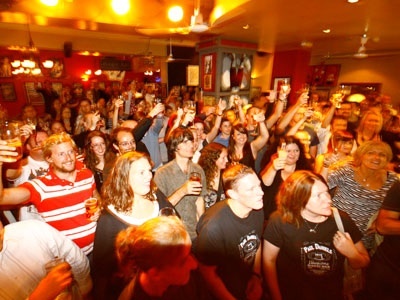 I remember the first few gigs when the music stage used to be near the bar, with the grand piano. Fun times! Then the renovation and the nice new stage that was installed. It’s always been a totally unique and fun place to play, and I’ve had some really memorable nights there! I’ll still be continuing my regular gigs at Smoke & Mirrors in the centre, and will also post up any other public appearances on my gigs page. Thanks Illusions – it’s been fun! This entry was posted in News, Wedding Guitarist Blog and tagged acoustic, gigs, guitarist, illusions, live, musician, singer by Pat McIntyre. Bookmark the permalink.